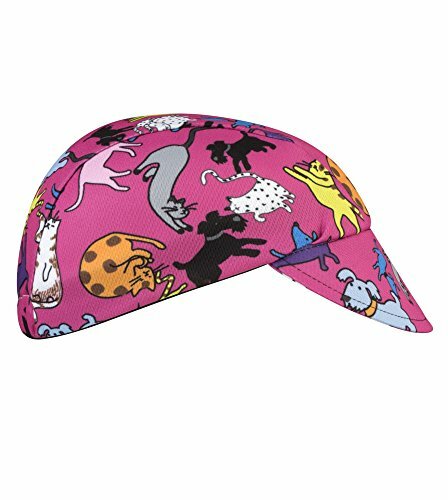 Our Rush Cycling Caps will perform like stylish sweatbands to wick sweat as well as protect your head from the sun. The slightly flexible brim will keep rain and sun out of your eyes, allowing you to enjoy the road ahead. Several prints (zombies, pizza, aliens, donuts, cows, etc.) as well as solid colors (black, white, high viz safety yellow) are available in separate listings. Each cap is sewn by hand in our Pittsburgh, PA offices. Adult styles available as well. If you have any questions about this product by Aero Tech Designs, contact us by completing and submitting the form below. If you are looking for a specif part number, please include it with your message.